Hellebore are named after a flower that cures madness. 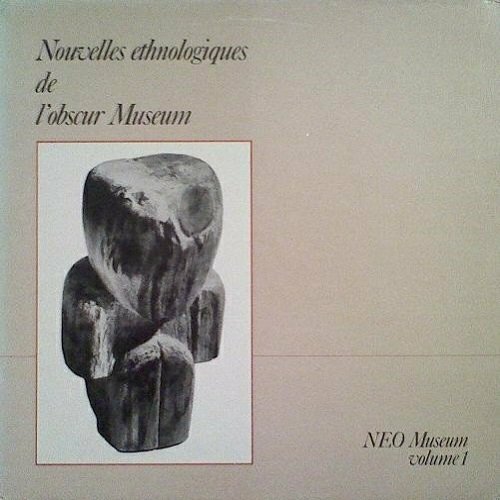 This French experimental band started in the late 1970’s and released only one album, which is very ambiguous mix of avant prog, rock in opposition, zeuhl and also musique concrète & free jazz. 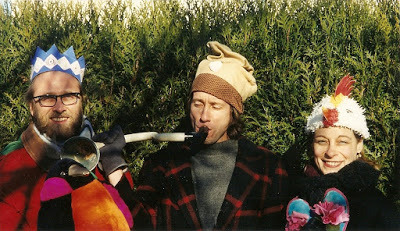 This young musicians were very talented and were partly inspired by Henry Cow and This Heat. Il y a des Jours resulted as a very unique statement by Hellebore that soon fragmented in different projects, including Look de Bouk, NEO Museum etc. Antoine Gindt: I had no academic music background – a few years studying classical guitar only. I have memories of listening to classical music at home (Mozart, Moussorgsky, Wagner, Sibelius…) or in the frame of the college where a music teacher had a fruitful influence on me, making me discovering ancient music and classical basics, before I started music by myself. Denis Tagu: Nothing really specific… Except I was born to an upper middle class French family, in a city with well-educated parents. I don’t know why, but yes I have always liked listening to music and trying to play some instruments. 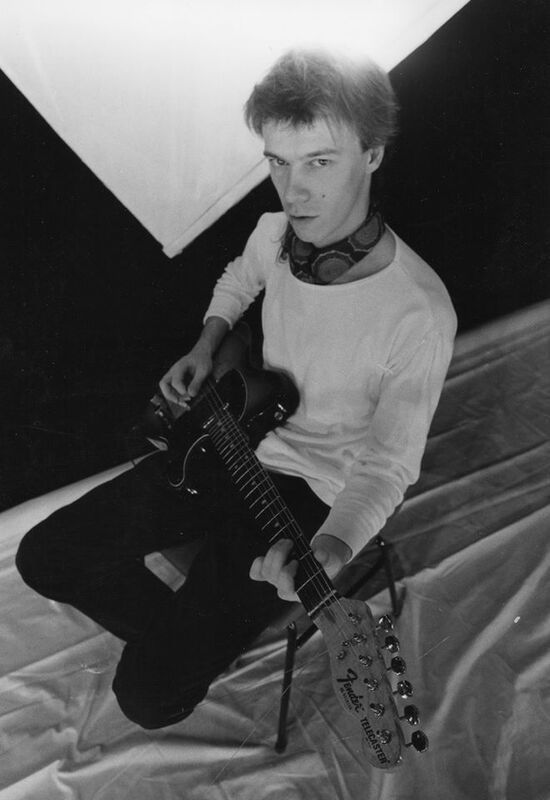 Antoine Gindt: At 15, my major influence was probably progressive music (Soft Machine, King Crimson, Yes, Pink Floyd, Genesis and so on) after a rock phase (Hendrix, the Who, Deep Purple, Led Zeppelin…). 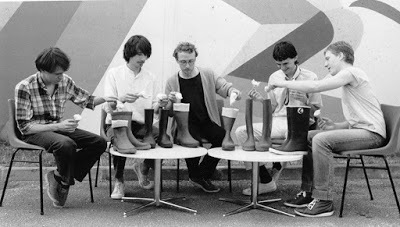 Later, more sophisticated expressions – RIO bands, Can, Magma or free jazz influenced musicians – gave me more satisfactions. At the end of the 70’s, I started to be strongly connected with classic avant-garde, particularly Stockhausen, Ligeti, Berio, Boulez… Last but not least, it became my main field of musical interest and the frame of my professional activity. After studying briefly sciences, I finally carried on my self musical education reading lots of books and scores, listening lots of different kind of musics, and working for international music and theater institutions. What bands were you with prior to the formation of Hellebore? Denis Tagu: None, really. The one I mentioned before was called Frenesis, but we never performed live and I guess we were the only people (4 of us) knowing the name of this band! Antoine Gindt: Hellebore was my first collective musical experience when we founded the band in 1978 as a trio with Daniel Koskowitz and Jean Caël, soon joined by Denis Tagu and later in 1982 by Alain Casari. Can you elaborate on the formation of Hellebore? Antoine Gindt: Hellebore was typically a band founded by teenagers who shared the same interest in music. We had similar mainstream influences and we wished spontaneously to involve ourselves in a very free and responsible activity, free of any adult control, with no teachers, sharing both serious involvement and friendship. 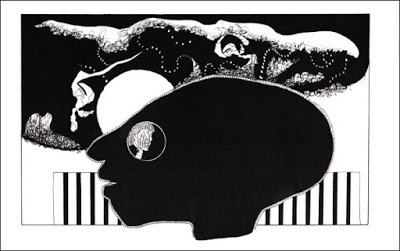 Part of our imagination came from what we knew about avant garde or from what we believed the avant garde should be. We liked to get information about musics, cinema, art and literature. Today, what appears incredible to me is that we were confident enough to start to make small concerts very early, after two or three months of rehearsals. Denis Tagu: Not really, because I joined the band later. At high school, I met Jean Caël, already bass player of Hellebore, and he invited me to join the band as a keyboard player. At that time, there was also Antoine Gindt (guitar) and Daniel Koskowitz (drums). Alain Casari joined us later (don’t remember when…) to play sax. I had no keyboards (except a piano at parent’s home), at that time, so I used a keyboards belonging to Jean I think. It was probably late 1978, early 1979. 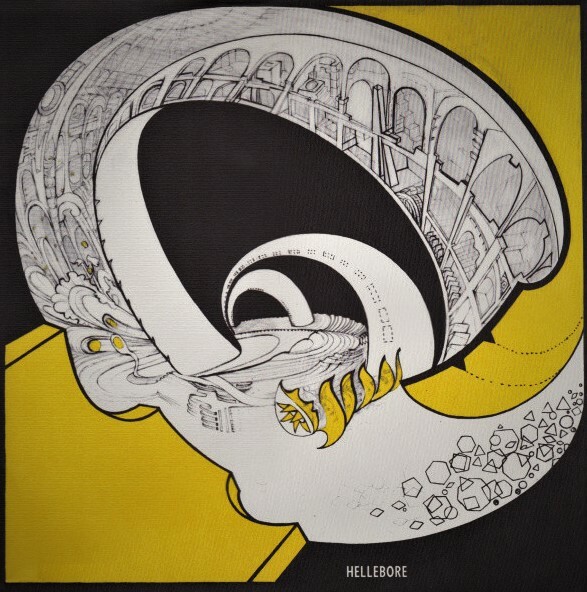 My first live performance with Hellebore was spring or early summer 1979 at Nancy (the place where we were all living). How did you decide to use the name ‘Hellebore’? Denis Tagu: Hellebore is the name of a flower (called also the Christmas Rose because it blooms in winter) and it is said to cure the madness in general. Antoine Gindt: I don’t remember exactly why we named the band Hellebore (we probably needed a name for our first public performance and the idea of a plant which was a medicine for craziness was certainly attractive to us !). All this stuff was really naive. Denis Tagu: In general, I don’t know. 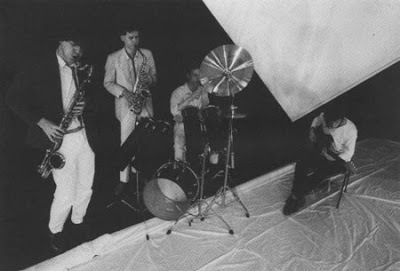 But we were following the traces mostly of Henry Cow, with the mix between composed numbers and improvisations, and search for funny sounds for a serious music. This was also the period where we listened to the Canterbury scene (such as Hatfield and the North and Robert Wyatt) and when we discovered The Residents, also a completely different way of inspiration for us (more DIY and DADA). What’s the story behind Il y a des jours? Where did you record it? What kind of equipment did you use and who was the producer? How many hours did you spend in the studio? Antoine Gindt: In a way, Il y a des jours is a final point of all what we did with Hellebore. After five years rehearsing and performing concerts, the album was an achievement. We recorded it in 1983 at the Centre Culturel André Malraux in Vandœuvre-lès-Nancy, a fantastic and generous place where we regularly rehearsed and performed during the three years before the recording. We did it by ourselves, on a four tracks TEAC recorder. As far as I remember, we spent lots of time recording it, we had the privilege to use the studio whenever we wanted. Denis Tagu: I’m not the right person to answer. I was following the others on that. Just to note that this recording was made just before we friendly split apart. Maybe we did not perform live after the release of the record… others should confirm that. Antoine Gindt: We balanced the album with different pieces that we were playing, mixing various influences and musical tastes of the members. This album should have been first released by Mnemonist in the US, but – after some problems with the editing – we finally did it with AYAA in France, keeping the original design by Mnemonist. Denis Tagu: On this record, there is no composition by myself, because I was not very inspired. So I let the other replying, but despite some very composed stuff, it was a collective work or pleasure, such as the guitar combo on “Warme Wasser mit Grass”. Would you share your insight on the album’s tracks? 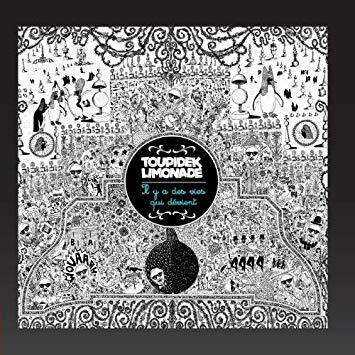 Denis Tagu: After more than 30 years (if I am right), despite that the structure of the titles and the album in its whole are typical of post-progressive music, there is still some pleasure and not so dated stuff to listen to. But I confess that I nearly never listen to it. Except the first title (“Introduction Végétarienne”, a very Residents influenced figure) because we did a cover recently with Toupidek limonade. Antoine Gindt: It was not conceptual at all. What happened after the band stopped? Antoine Gindt: Nothing happened! It was the natural end of a beautiful period. We just went on with new projects, together or separately. Fortunately we are still friends till today! Denis Tagu: We decided to split because we all had different fates, some of us like me leaving Nancy for another city, and with the desire to start new and different musical projects. Jean and I decided to launch Toupidek limonade, less composed, more eccentric as well. Antoine, Daniel and Alain went for Neo Museum, that was more influenced by This Heat, in the way to construct finite figures from group improvisation. But they will explain better than me. Denis, Look de Bouk was another highly interesting project you had at the same period of time with Etienne Himalaya and Kwettap Ieuw. What can you tell us about the concept behind it? Denis Tagu: Look de Bouk was after Hellebore’s split. I met Etienne Himalaya and Kwettap Ieuw in a festival and they asked me to join the Look de Bouk because their keyboard player (Martial Canterel) could not go on. Of course, I agreed since I loved their music. It was Etienne Himalaya’s project. He used to say that it was a kind of imaginary folklore music. Lacrimae rerum was also released in 1985. What are some of the strongest memories from recording it? Denis Tagu: This was different from Hellebore recording since there was a mix between house-recording and studio sessions. Everything has been recorded by Etienne mainly at home. So I joined him for some recordings, but there was no band work. This was my very beginning to Look de Bouk. Many releases followed. In 1991 Becs et Ongles, L’âcre hymne aérait Rome in 2001 and Le monde entier moins le monde entier sans vous in 2003. 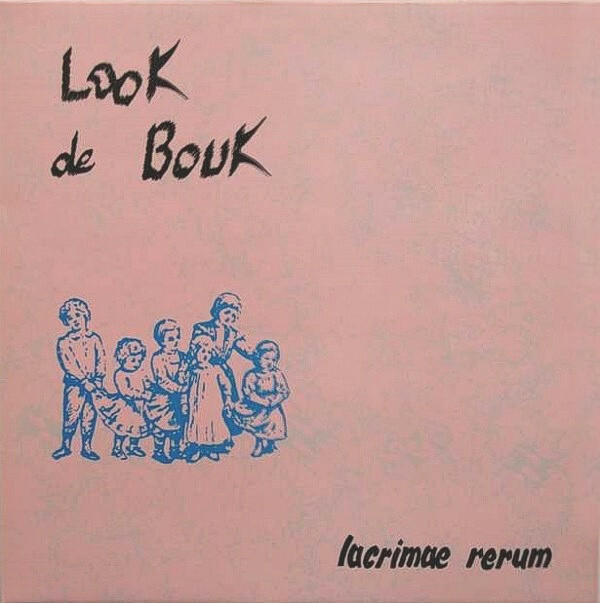 Denis Tagu: I think the album that is the most representative of Look de Bouk after I joined them is Becs et Ongles. The sessions were always recorded at home, on very long periods that allowed us and more particularly Etienne to take time, to listen to sessions and to decide whether we redo or not, to try several pre-mixing and so on and so forth. We were also playing live often. 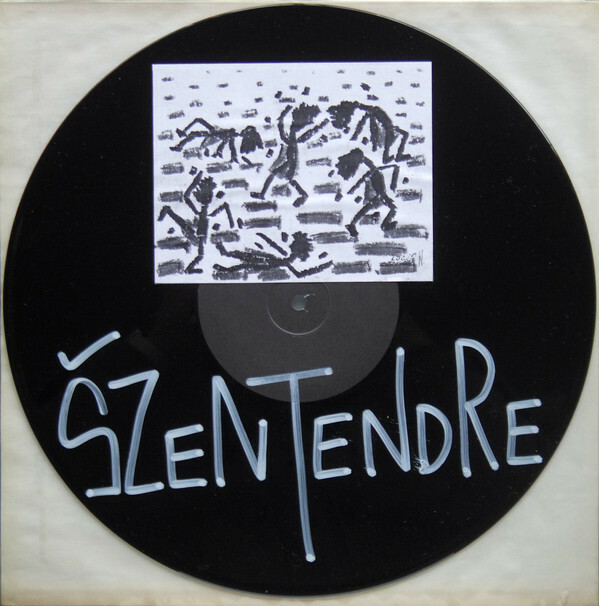 How about Toupidek limonade and Szentendre, which also released a lot of very interesting and experimental albums. Would you be able to compare four different projects? Was there a major difference between them? Denis Tagu: Szentendre was a one shot project, the trio Jean, Daniel and I from Hellebore (post-Hellebore). At that time we were living in different places so this was a correspondence band, before Internet. Each of us composed a couple of pieces, not finalized to leave space to others to add material. And we released a one-side LP. Toupidek limonade was created probably in 1984 with Jean, and we invited Kwettap Ieuw from Look de Bouk to join us. With this trio, we freely recorded on a four-track tape recorder at Centre Culturel André Malraux (same place as for the Hellebore’s album) some funny material released on a cassette called Il y a des nuits as a reference to the Hellebore’s album called Il y a des jours. 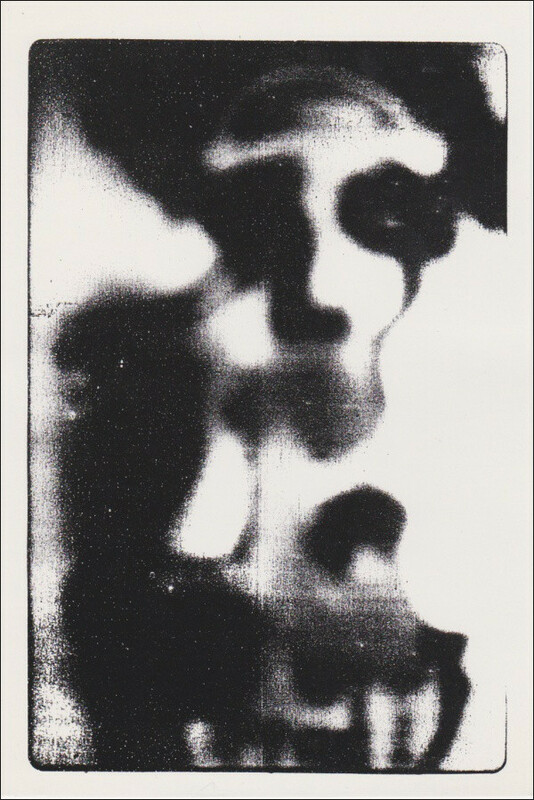 This cassette contains songish material, very approximate singing and playing, pataphysical approaches and childish things. This was mainly based on our childhood taste for the North and Greenlandic people (Toupidek means monster in Greenlandic language). Our way to proceed was (still is): no censure, we welcome most of the ideas and we want to have fun anyway. So with that, we recorded at home and on long periods such as for Look de Bouk, different CDs. We nearly never performed live except twice in 1985. Recently, in 2016, we decided to perform live material. 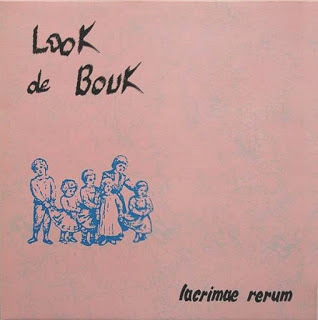 For this, we asked Bernard Odot to join us, a former member of Look de Bouk. We only played twice in Rennes where I live. If you google on YouTube, you might find some bad traces of these unique performances. So if Hellebore was kind of “Henry Cow” imitation, Toupidek is more on the Residents first years tracks. You also formed a label: InPolySons. Denis Tagu: InPolySons is a label I have launched at the end of the 80s, just before AYAA Records stop their activities. We were very good friends, so there is no causal effects! Just that AYAA people were professional, living from their production and distribution activities more than 10 years and were a bit tired of it. In my case, InPolySons is not my job, and I do that as an aside project. It will be too long to explain what InPolySons did but basically; I try to help musicians, I like to produce their records, LP’s first, then CDs and now, LP’s again and even cassettes. I love to propose compilation on specific themes (pataphysics, raw art…) as well as kind of “concept albums”, to musicians because I think that constraining ideas is a way to stimulate imagination, such as the French writers belonging to OULIPO (created in the 60’s by Raymond Queneau and François Le Lionnais). I let you see the kind of artists I like to produce on the website, but Klimperei, Pierre Bastien and Dominique Grimaud are quite representative. My very last project is still ongoing. I had the idea to launch a collection of 9 compilations (all on a given theme), such as you can subscribe to the whole collection (like a journal or a magazine) or just buy the issues you prefer. 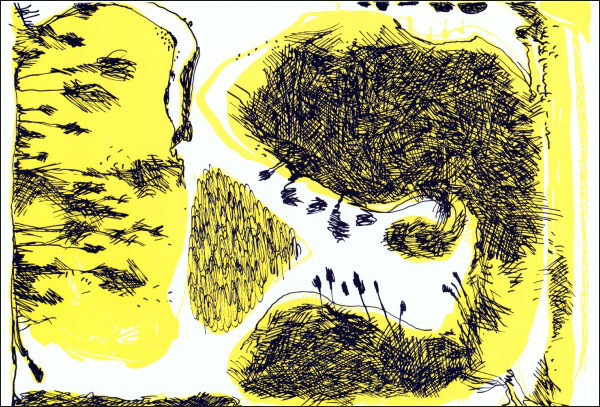 I do this with my friends of MonsterK7 in Paris, a small label also devoted to experimental and toy music. We have spent a lot of time on the artwork for the first issue that is called “Cabinet de Curiosités” (Curiosity Cabinets) and that has been released by mid-october 2018. For the following issue, we asked our friend David Fenech to be the editor in chief, meaning he will invite the musicians on his own, on a topic about the beginning of the end: we ask a first set of musicians to propose the end of a piece, and second, another set of musicians to compose the beginning of them. To be released in 2019? Antoine, and you went on to form NEO Museum and released another absolutely amazing album in 1986. Antoine Gindt: NEO Museum was the expression of more precise determinations and musical involvements by three of us (Daniel Koskowitz, Alain Casari and me). It was more turned to free jazz and radical rock experience. A more compact combo. The trio became the appropriate place where we can develop more opened musical forms, including guest musicians. It was probably more mature and technically much better. We keep this band going until 1988. 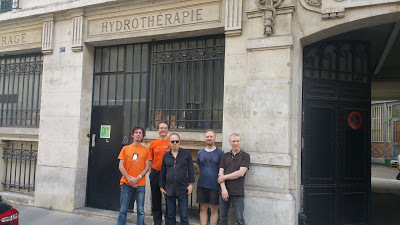 We recorded the album in 1985-86 at the same place (Centre Culturel André Malraux) with a better sound recording system (8 tracks). Now let’s talk about your work that currently occupies your life. You became stage director and producer and the general manager of T&M-Paris since 1997, after working as assistant manager of Atem with Georges Aperghis (1992-1997). You commissioned new operas and music theater pieces (Aperghis, Bianchi, Dillon, Donatoni, Dusapin, Filidei, Goebbels, Pesson, Rivas, Sarhan…) and made possible french premieres (Dusapin, Goebbels, Mitterer, Sciarrino…). What is the latest project you’re working on? Antoine Gindt: For more than 30 years now I am mostly involved in producing and staging new operas and music theater pieces. It is for me a very imaginative position in which I can aggregate what I like and what I know in new music, new theater and visual arts. I make it with very strong partnerships and I feel free to develop my projects in a various and large range of music, at the moment it makes sense for me to give to some audience original and engaged shows – both aesthetically and politically. My last two productions in fall 2018 are probably a good illustration of what I do now, even if I would prefer to create new works, as I did with Aliados by Sebastian Rivas in 2013 or Giordano Bruno by Francesco Filidei in 2015. In 2018, Frank Zappa’s 200 Motels, a huge production I wished to do for more than 20 years, and Mauricio Kagel La Trahison orale, a reference in the field of music theater, are two productions that I staged with very unsimilar situations and two different artistic teams. They both expressed what I am expecting to do with modern music, at the highest and free artistic level. 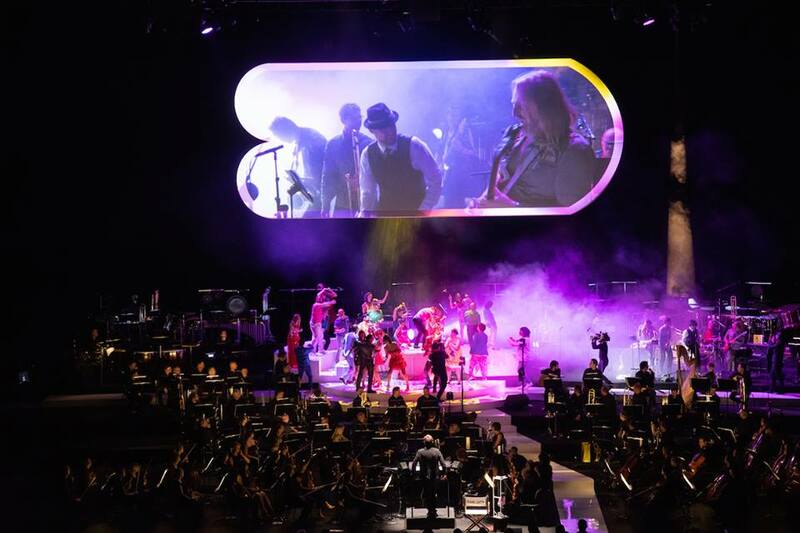 In September 2018 you staged the french premiere of 200 Motels by Frank Zappa, at Zénith de Strasbourg (opening night of Musica Festival) and at Philharmonie de Paris. Antoine Gindt: 200 Motels by Frank Zappa is at first an album which was very influencing for me in the late 70’s, beginning of the 80’s. I was amazed by the fact that such an eccentric rock musician can be at the same time a composer with so many references in terms of modern classical music. 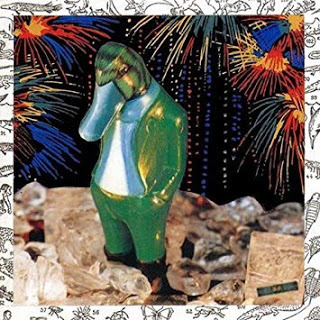 At this time, and probably without having any ideas of how one can deal with so many different possibilities, I was totally seduced by this album. It represented all what was attracted to me in music: sophisticated writing, large orchestra possibilities, various and eccentric vocal expressions, rock powerful energy, and above all, total freedom to speak about the society and about clashing situation between academic world and unrespectful attitudes. At that time, I maybe had the intuition that this piece (fortunately, I did not see the movie before the year 2000) could tell something of its time with a very bizarre and surrealistic narration. Of course to make such a production, you need to put in it your own experience and do something by yourselves. Years ago, when I shared the idea with Jean-Dominique Marco, in Strasbourg, and Emmanuel Hondré at the Philharmonie de Paris, it was only the starting point to aggregate all the necessary energies, and of course to find the budget of such a costly production. This kind of production required years to make it possible. After we finally did it, I can say that it was one of the most complex but exciting production that I ever did. A kind of resolution of what Frank Zappa maybe dreamed with it, mixing Philharmonic Orchestra, Choir, brilliant soloists, rock band… including sound and video technologies at their best. And of course fantasy! Together with conductor Léo Warynski and movie maker Philippe Béziat with whom we have previously done a lot of productions (including Aliados, with live video), it was a challenge to make at the same time the music, the staging and the video parts of the show. With my team, we use to think about works as very sophisticated objects, involving numerous and long reflections on dramaturgy, casting and characters, set, light, video and costume designs, and so on. We have prepared 200 Motels as we used to prepare an opera by Wagner or Stravinsky, with the same serious and rigorous approach. From the beginning of the job, I was considering 200 Motels as a piece of repertoire, for sure different and highly energetic and fun! Our production of 200 Motels is certainly a new version of the piece, more respectful of the music than any other versions and for the first time taking care about its theatrical investment. I wanted to show how rich is this piece, not only as a testimony of the early 70’s and Mothers of Invention creation, but really as a complex and inventive music piece of the XXth century. Frank Zappa, even if he strongly wished to be recognized as a composer, does not really belong to the classical music field (just a bit part of the avant-garde area), and his music is far from the opera codes. Nevertheless I do believe that 200 Motels could be part of the repertoire as a very specific work including all possibilities of music, theater and cinema – what lyrical art is pretending to make for more than four centuries. I hope that we could perform this production again. For now we are editing the movie we shot at Philharmonie de Paris. It will be my modest contribution to the work of Frank Zappa that I definitely consider as one of the most exciting musicians of the last century, all styles of music included! What about La Trahison orale by Mauricio Kagel (CETC – Teatro Colón)? Antoine Gindt: La traición oral (we have translated the title because it was the premiere of the work in Argentina, in a Spanish version) is a very fantastic piece for three actors and a small instrumental ensemble (3 percussion, piano, violin/viola, double bass and tuba). Mauricio Kagel has written it in 1982-83. The text is based on fascinating stories about the devil and sorcerers collected in the 50’s by the writer Claude Seignolle in the french provinces. It is typically what the art of Mauricio Kagel expects to express: theatrical situations always mixed with music or deduced from music. It is highly original, giving the audience lots of paths to think about how things are modified with the speeches (oral treason). Music is always expressive, jerking with various situations, allowing high feelings of strangeness, deep fears or social unexpected happenings. As I did this staging in a very specific venue (the basement of Teatro Colón in Buenos Aires), I decided to set the action in a kind of museum, a museum of the devil, with lots of engravures (from the middle age to our time). The audience had to move one hour and half long, and to follow the actors (or not) in the location. It was a very unusual experience, in which the audience had to be very active and not only seating to attend or to listen to the action. Denis Tagu: This is a too complicated question. And paradoxal. First many things could be recommended because there are many different approaches of interest. But second, I have difficulties these days to be really completely moved by something that would sound very new to me. So I could recommend the Piano Concerto in C from Bach, as well as 200 Motels by Zappa that I have recently seen on stage, or an obscure French musician called “Sourdure” or even the last soul album of Connan Mockasin. Denis Tagu: To be a musician is not only an entertainment, but also a job! Job means to get paid for it. So please, don’t freely consume music, but go to concerts and buy records! As the Residents were. Antoine Gindt: I really like to feel free of borders in what I do. It’s why all the productions I did for so many years are sometime surprising, for instance including Wagner and Zappa demonstrative musics as well as the secret musics of Kurtag or Bussotti, and of course new works that I particularly love as Aliados, Giordano Bruno or a long time ago operas by Pascal Dusapin or music theater productions by Georges Aperghis or Heiner Goebbels. I mean it’s not so obvious to link with a direct line what one did as a young man and what one does more or less forty years later. I try to keep memory from where I come, and to keep strong interests in all different kind of musics and theaters – of course today I can more clearly identify the different values of them and their contexts – but I wish to stay out of any preconceived ideas about art or music. I like when art is able to built very strong objects, unexpected, opened to spiritual and philosophic reflections and crossed by multi influences, including non sense and unlogic development. It’s always fragile and sometimes it never happens! It’s why I was always so respectful of the artists who really take risks and are able to lead a deep reflection. Sometimes with almost nothing, sometimes with everything!